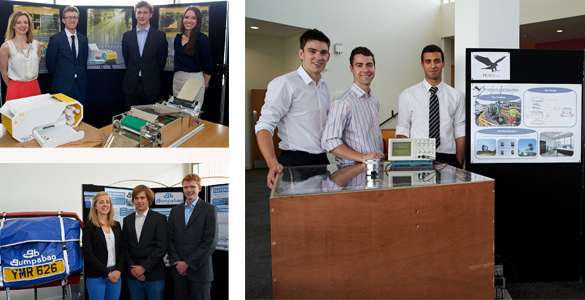 On Wednesday 5 June, the annual Manufacturing Engineering Tripos (MET) Design Show was held at the IfM. As part of their course, the third-year students are asked to work in teams to design and prototype a product that is in some way innovative and has real business potential. The outcome of the project is showcased at an event for an invited audience of industrialists, designers, venture capitalists and academics, as well as friends and relatives. In the past, some of the products on display have been taken up by the industrial partners involved during the development stages. This is now happening more and more frequently, with two or three projects deemed to have the same potential this year. Products presented at the 2013 Design Show can be seen here. If you want to find out more, please contact Jim Platts.